Preserving history, legends, and paranormal tales of the tri-state area of OHIO, WEST VIRGINIA, AND PENNSYLVANIA. This is the old County Home. To a lot of people this would be an eye sore, as some one called the Smith Auto Parts Store in East Liverpool. But to a ghost hunter, this place looks perfect. Here stands an old haunted mansion waiting to be explored. But, despite how inviting these buildings looks to any would be ghost hunter, there is one thing that keeps my crew and I from investigating them. We can not get permission to go on this property. We have asked and we were very politely told no. The owners do not have the necessary insurance to cover any one getting hurt. I totally understand that. If you look closely at these buildings, they are in serious decay. Floors and stairs are no doubt weak and who knows what kind of animals live in them. Going in them, especially in the dark is asking to be hurt or worse. I took all my pictures from the road. The reason I went here was because I talked to some one who said they were in the buildings looking for ghosts and got arrested. That is the last thing you want to have happen. The number one rule when you investigate an area is to get permission from the owners. Even Beaver Creek State Park has that rule if you are going to be in the park after dark. Often people are curious about ghosts and will be happy to allow you access to their property for some thing like that as long as it is done with serious intent. But if the property owner says no, then you must abide by their decision. And there may come a time when the owner changes his mind and calls you back about it. I have had that happen. Believe me, there are plenty of haunted places in Columbiana County to investigate. While there is no such thing as experts in the field of ghost hunting, there are ghost hunters who act in a professional manner. As long as you do that you build respect for your crew and ghost hunters every where. It only takes one bad apple to spoil it for everyone else. No, you are correct. There are no professional ghost hunters, Only those who are obsessed and want to pretend like they are. My husband has been in those buildings.. it was during the day though, so i don't think he saw anything- just said it was very creepy! But he also said the floors were unstable, and he didn't dare go anywhere but the main floor. I've been up by them so many times, and I would LOVE to go in them- they just scream haunted! She passed away on October 30, 2010. She got me started, getting me my first Digital Recorder. For her, I will never give up in my quest to understand the unknown. Paranormal Societies in your area! When is the full moon? Royalty Free Music and Sound Effects Download the music and sound effects you need for your multimedia project today at Partners In Rhyme. Royalty Free Music.com offers a comprehensive music library of production music for your various royalty free music needs including full albums, tracks and free music clips, loops, and beats available for download. 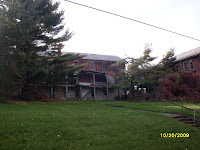 The Old Cowans In Rogers, Ohio-Haunted By The Watchful Ghost Of Margaret Deem? Haunted Stairs in East Liverpool? Ruins Steeped In Rumors Of Unsolved Multiple Murders? Prospect Place Mansion-Visited 09/14/2013 Near Dresden Ohio-Awesome place to investigate!